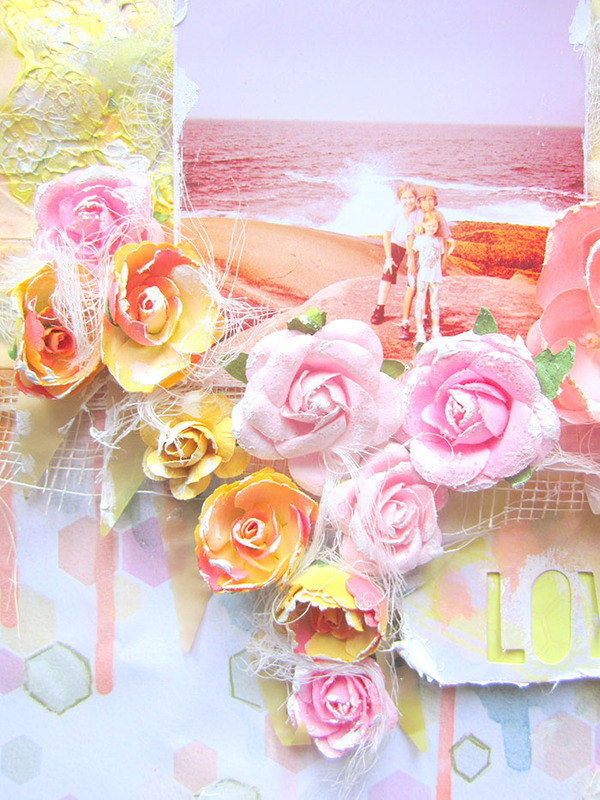 I’m so delighted to be GD this month at Sassy Scrappers. 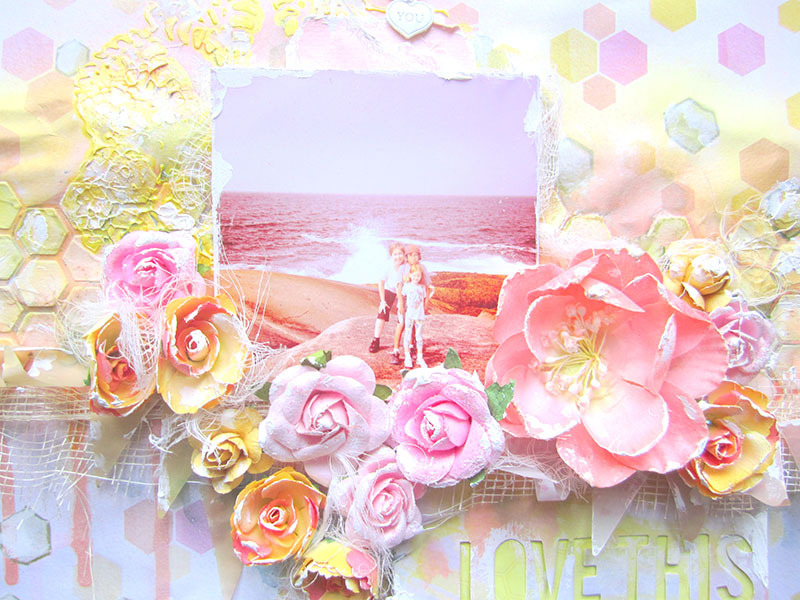 I was excited to work with this fabulous Color Wash collection from Pink Paislee. 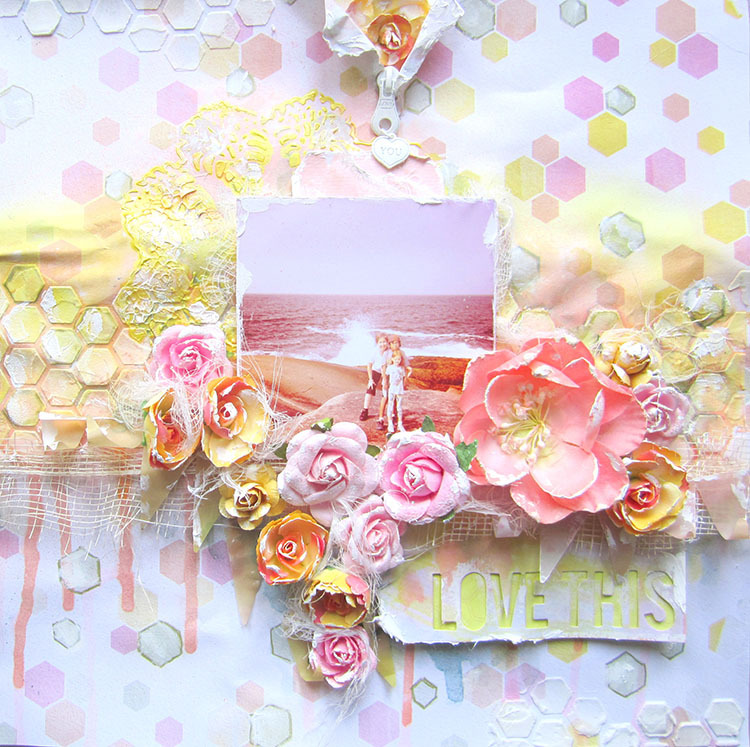 I used lots of mixed media to create hexagon patterns on the page. 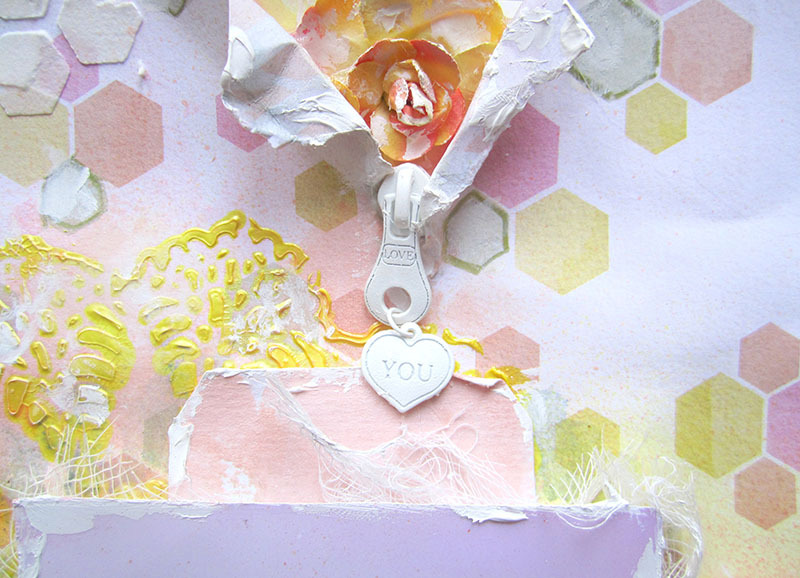 I used Light Molding paste and a Heidi Swapp mask to create the hexagons to match the ones on the Color wash paper. I used Shimmerz and Ranger sprays to created the dripped color in the background. 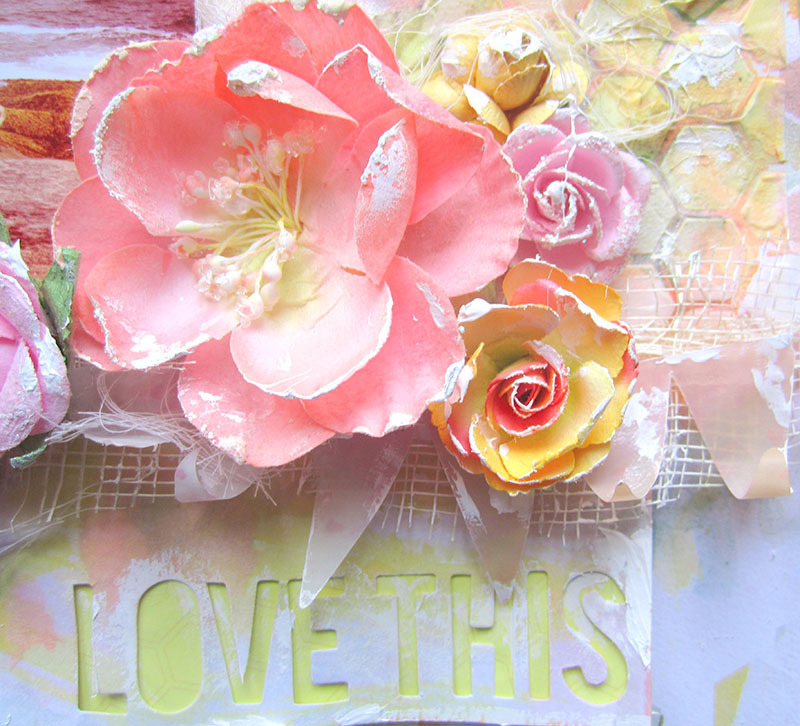 I also used a Prima doily mask with some Lemon Drop Dazzlerz to add a sun like pattern in the background. Finally I decorated with Prima flowers and embellies and also tucked some cheese cloth fibers in between them. Fabulous page, Keren! Love those colors together! What I like most about this layout is how the photo colors fit so well with everything else. My wife and i felt so more than happy Louis managed to conclude his investigation via the precious recommendations he was given from your own web site. It’s not at all simplistic just to always be giving for free tips that others could have been selling. We really do understand we need the writer to thank for that. The most important illustrations you have made, the straightforward blog menu, the friendships you can assist to promote – it’s many astounding, and it is facilitating our son and us understand that content is amusing, and that is exceedingly vital. Thanks for all!